On October 17, 2013 two teenage Somali sisters left their parental home near Oslo in Norway, apparently on their way to school. A few hours later, their bemused parents received an email explaining that their daughters were in fact en route to Syria to join Islamic State. Haqg means right or truth, according to the glossary provided by Åsne Seierstad, author of Two Sisters. 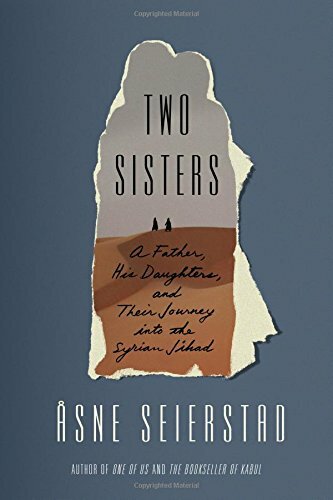 As well as the glossary and linguistic notes, there are explanations of how this brilliant reporter approached what might seem to be an impossible task: writing the story of the two sisters, neither of whom has been willing to communicate with her. The title notwithstanding, this book isn’t just about the sisters. (They are referred to as Ayan and Leila, but these are not their real names: the author has disguised them so that if they ever want to return to Norway they will have a better chance of doing so incognito.) It’s also about their parents, their anguish, ingenuity and courage. The father sets off in pursuit of his daughters, passing through Turkey into Syria where he is captured and tortured as a suspected spy. Finally freed, he establishes contact with his daughters through third parties, and tries various strategies (pleading, bribery, kidnapping, creating and selling fake news to fund his activities), all to no avail, because, as he must eventually admit to himself, they don’t want to return. But they stay in touch with him and their mother, as well as with siblings and friends, through occasional phone calls, texts and social media postings. 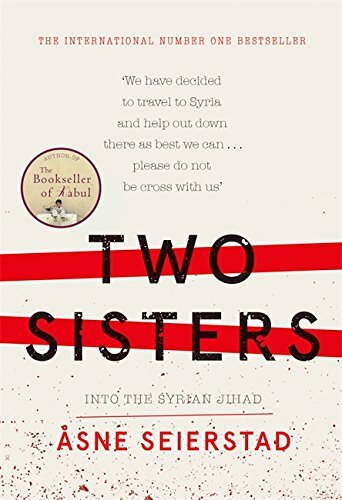 Months become years as the parents learn that both their daughters are now married with children, that they live collectively with British, Swedish and Norwegian couples, and that their daily life in the Islamic State consists mainly of sheltering from bombing, taking part in religious activities, and providing domestic backup for the male fighters. The parents also learn that one of the daughters lost a lot of blood during childbirth, and that the other has not yet fully recovered from a bullet in the leg. The author has seen many of the social media postings, including a long discussion with a brother whose response to his sisters’ embracing of fundamentalist Islam is to become an atheist. Lively online debate ensues – religiously and politically thoughtful and peppered with teenspeak – hehehe, sooo, mysterious initials and ubiquitous emojis. 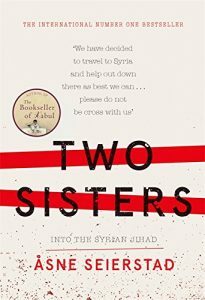 Unable to interview the sisters, the resourceful author has made it her business to interview people who knew them, worked with them, supported them or tried to stop them – anyone who will talk. She has investigated the websites, mosques and Koran teachers who may have influenced the girls’ decisions. The result is fascinating, disturbing and sometimes as page-turning as the best kind of airport blockbuster. No wonder Leila and Anya feared ‘what Allah will say to us on the day of judgement’. What believer wouldn’t?